This promo release comes as CDr with standard backside and with fold-out promo-folder for press people / CDr is held in cardboard sleeve. 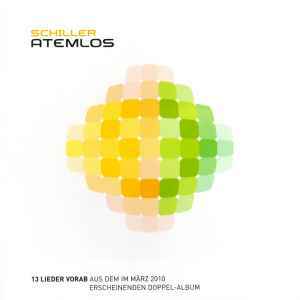 There is another CDr of Atemlos - 13 Lieder Vorab with black backside and without press-folder. The album is unmixed - all tracks are full length versions.